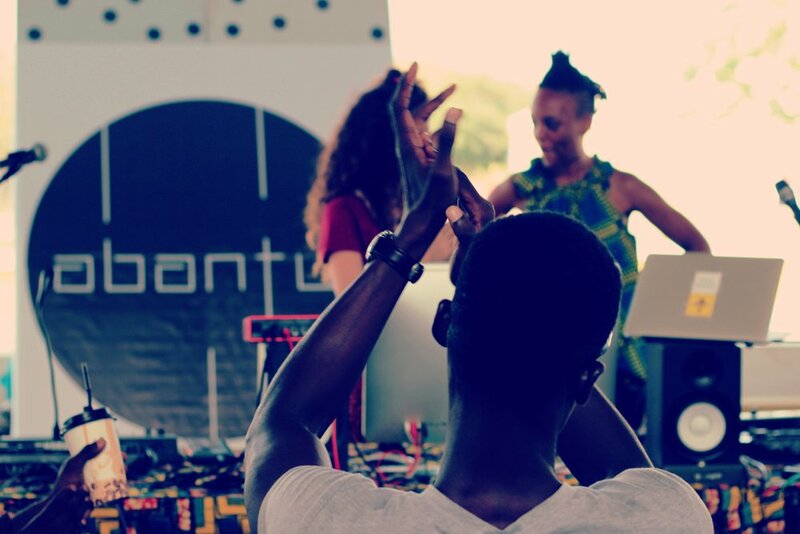 We are grateful to have been given the opportunity to contribute to Accra’s first re:publica and to celebrate our very first outing as the host and curator of the Creators Studio Lounge. For the love of the forward thinking minds. For the love of creating a space for gathering, exchange and growth. For the love of getting involved where chore values align. Here comes a recap of the gem. re:publica is all about digitalization which is often quickly associated with Tech and IT, but even the arts such as music are hit by the winds of change. Our Pop Up Recording Studio was to make digital music making accessible regardless of skill level, style or age. Because it is fun. Because it is creative. Because it empowers. A major shout out and thank you to the wonderful La Cris who was seemingly running on solar energy, tirelessly creating beat after beat with the many inspired, beautiful people curious enough to give it a try. Each walking away with a broad smile and the amazement for their hidden capabilities. Mission accomplished. We hosted various workshops on Media and Journalism instructed by Sandister Tei from city TV, Amos and Divine from Ghana Community Radio Network as well as Kobby Graham and Eli Tetteh. Rodney Quarcoo contributed an introduction to digital photography while Kajsa and team talked about gender equality in Politics and Society. The incredible Eyram Tawia from Leti Arts shared his ideas on inclusive video game design incorporating Africa’s legends. 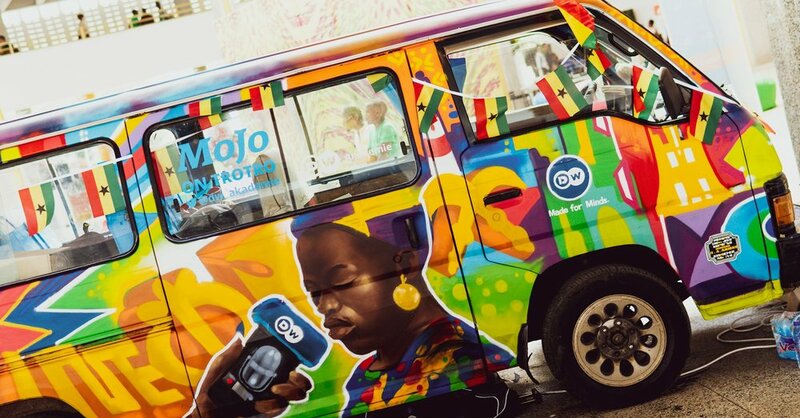 Deutsche Welle impressed with the most colorful Trotro in town and hosted multiple talks. An exhibition by Hanson Akatti upgraded our space with intriguing pieces of digital art while the Virtual Reality was represented through Afroroutes, a film made by Selim Harbi. La Cris came to capture us with her musical magic and Kwame Writes challenged our minds with his Spoken Word. The Creators Studio alone offered much food for thought. Those hungry for more can check re:publica’s YouTube Channel for content from the main stages. It was our great pleasure. Merci to the re:publica team. And to you whom it was for.